Subscribers have access to every video course on the site. You'll also get access to all new courses that are published on the site for the duration of their subscription. Once you've subscribed you'll have all the tools that you need to become a better coach, a better player or to become a rugby guru. First of all, you'll need to have a profile on the site. This article explains how you can create a profile. Here you'll find all of our pricing options. 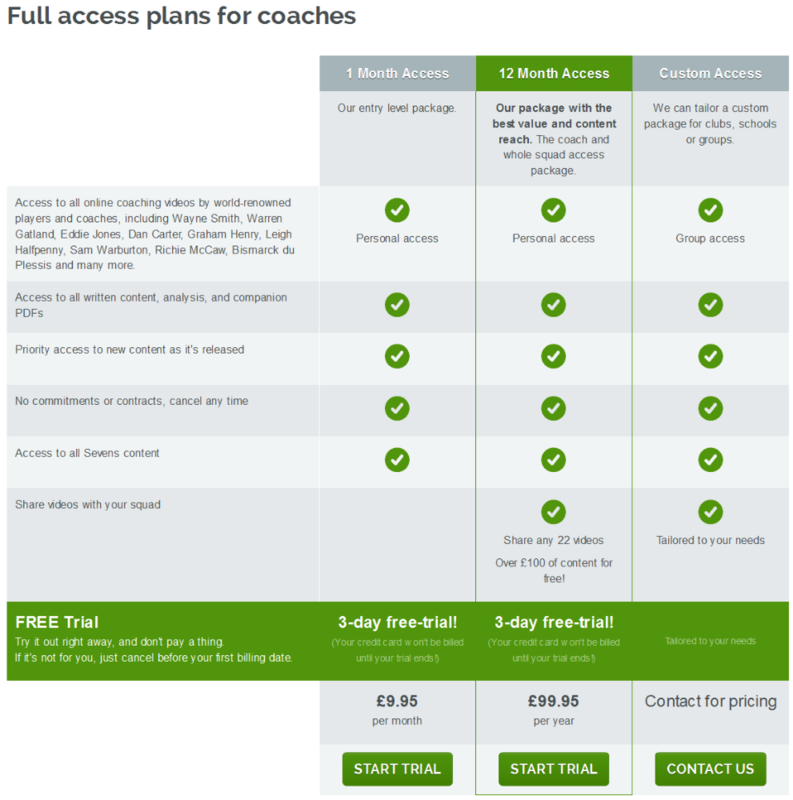 You can browse coach plans, player plans or get in touch with us for a bespoke package for school, union or club. 2) Select the plan that best suits you. Remember, all of our subscriptions come with a 3-day trial so you'll have access to everything on the site before we charge you anything. 3) Select the plan that best suits you and enter your payment details. Hit join now and you're away!